So you want to be a Landlord who is revered by your tenants but are not seen as a pushover, do you? 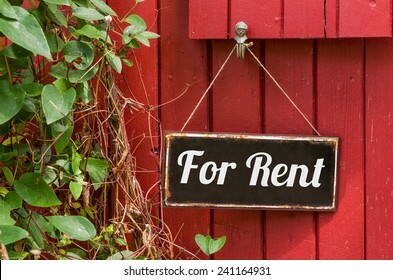 There are a few tips that I would recommend to hopefully give you an easier life as a landlord. Set out ground rules and stick to them, not letting tenants call you at 11pm – to ask a stupid question. Writing is better than phoning but remember to keep copies. Try and accommodate the tenants wishes to make contact – messenger, email, text or even Facebook. Why not syke them instead of giving out your phone number. Ensure your AST covers all bases concerning communicating. Help tenants set up a standing order or use direct debit – they can’t forget to make payment. Diarise rent date and make contact on the same day if it’s not forthcoming. Set up a process and stick to it e.g. text day 1 and 2, call day 3 and 4 and final warning day 5 or 6. Do not be a soft touch and fall for those tales of woe. What is an emergency, your definition is probably not the same as your tenants – So define “emergency” for your tenants. Instruct tenants about what to do in an emergency. Do they really need to call you! Have a good all round base of trade contacts ensuring they are paid on time and treated fairly. Can the tenant sort out the issue easily themselves without calling you out – e.g. unblock the sink or clean the washing machine filter. Explain clearly the difference between condensation and damp, let the tenant know their responsibilities to both. Carry out regular internal and external inspections and look for early signs of repairs, often cheaper than letting things go. Look for any signs of condensation. Looks for signs of sub letting. Look for early signs of repairs that may be required. Work smart and not hard. Ask Lorraine – What Documents do I need for my Tamworth property before renting it out? I have just bought my first buy to let property in Tamworth, it’s a two bed semi detached in Amington. I’ve find out what type of tenants I can attract to the property and also what rent I can hope to achieve. I’m still rather perplexed with all the legislation over renting and what documents I need inorder to rent my property out. What documents and checks do I need to do before I can move my tenants in? What Documents do I need for my Tamworth property before renting it out? Congratulations, you’ve taken the first step of becoming a landlord, however with it comes lots of legal hoops to jump through to ensure the property you are renting is safe for your tenants to live in. You will find some are some legally required while others at present, are recommended as best practice. As a landlord, you have a legal responsibility to instruct a Gas Safety registered engineer to carry out the checks and provide the certification. You need to give this certificate to the tenant when they move in. You also need to make sure that the gas safety check is carried out annually with a copy being given to the tenant. Landlords are responsible for keeping properties safe and free from health hazards, including from the risk of legionella. Legionellosis which is found in water is the collective name given to the pneumonia-like illness caused by legionella bacteria. This includes the most serious legionnaires’ disease, as well as the similar but less serious conditions of Pontiac fever and Lochgoilhead fever. As a landlord, your responsibility is to have a competent person carry out a risk assessment to assess the risk of exposure to Legionella. Many landlords choose to carry out the assessment themselves, however the buck then stops at their doorstep. If you decide to carry out the risk assessment yourself please ensure you know what you are doing. For the sake of approx. £50 It may be safer to use a contractor to carry this out. The energy performance certificate is required if you sell or rent a property. You should have one from the purchase of your recent buy to let property. The certificate is to check the energy efficiency of your property. They last for ten years and grade your property on their efficiency. Regulations came into force as of 1st April 2016, whereby tenants can request consent from their landlords to carry out energy efficiency improvements to their properties. The request should have no cost implications to the landlord, unless of course, the landlord agrees to pay towards the works. From April 2018, your property will need to have a minimum rating of E, which means a lot of older and poorly insulated properties may struggle to achieve the E or above rating. Electrical Certificates are currently best practice, however it is legally required that any electrical installation is safe and in full working order at the beginning and during the length of the tenancy. Recommendations suggest having a professional carry out the electrical certificate every five years. In single let residential property, there is no current legal requirement to carry out a PAT test. If you do supply portable appliances and don’t have a PAT test carried out, you should carry out visual inspections to ensure there are no cracks or burn marks to sockets and the wiring is not damaged. A smoke alarm is required on each floor level, they must be checked to ensure they are in proper working order at the start of a new tenancy. Carbon Monoxide (CO2) alarms are only legally required where there is a solid fuel burning appliance . As gas is not a solid fuel, there is no legal requirement. Best practice would be to install a CO2 alarm within close proximity to a gas boiler, manufacturers instructions will advise. So a lot to think about and sort before renting out your Tamworth property. Good luck Angel and enjoy your property journey. If you are looking for an agent with experience that can help you prepare your property and find the best tenants for it, then contact us to find out how we can get the best out of your investment property.